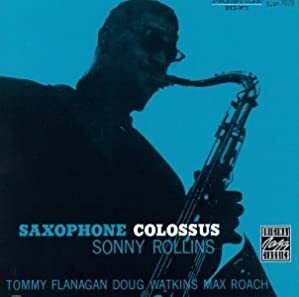 These days the great American saxophonist Sonny Rollins will take only those jobs “that put myself, and jazz, in high esteem”. It’s a statement that reflects the distance the New York-born musician has travelled from the circumstances in which he found himself when he recorded the now legendary album Saxophone Colossus in 1956. Bob Blumenthal and John Abbott’s text-and-photograph collaboration takes that triumphant early album in order to track Rollins’s tumultuous journey from youthful miscreant to venerated statesman – via punishing routines, titanic gigs, heroin addiction and self-imposed exile from performance.